Welcome to day 1 of the 5 Days of ... Blog Hop. For this hop I chose to share our favorite books. I'm hoping to give you a range of books from baby to adult over the course of the next five days. Today I'm going to start off with our favorite board books. Just two but they are so instrumental! I memorized this book when my oldest was a baby over 13 years ago. It is an awesome book to teach your kid animal sounds in a fun way. Author Sandra Boynton has a bunch of good books but this one is the best of them. A must have for any book shelf. I found this one when my three year old was about 1. He loved this book. I think it was instrumental in teaching him to say please. We get compliments on his manners all the time. I actually loved the Polar Bear says Thank You and Mouse Says Sorry too. We never got around to buying the Hippo one but I bet it is equally awesome. Someone gave us that silly Moo Baa Lalala book when my son was adopted, and it became one of our favorite books too! SO CUTE! Looking forwards to reading your posts this week- who doesn't love books! ? I'm not familiar with either of these books, but we LOVE books so I'm excited to see what you recommend! Moo Baa LaLaLa is a favorite of mine!! TFS! We haven't read either of these. I will have to add them to our library list for next week. Thanks for sharing! 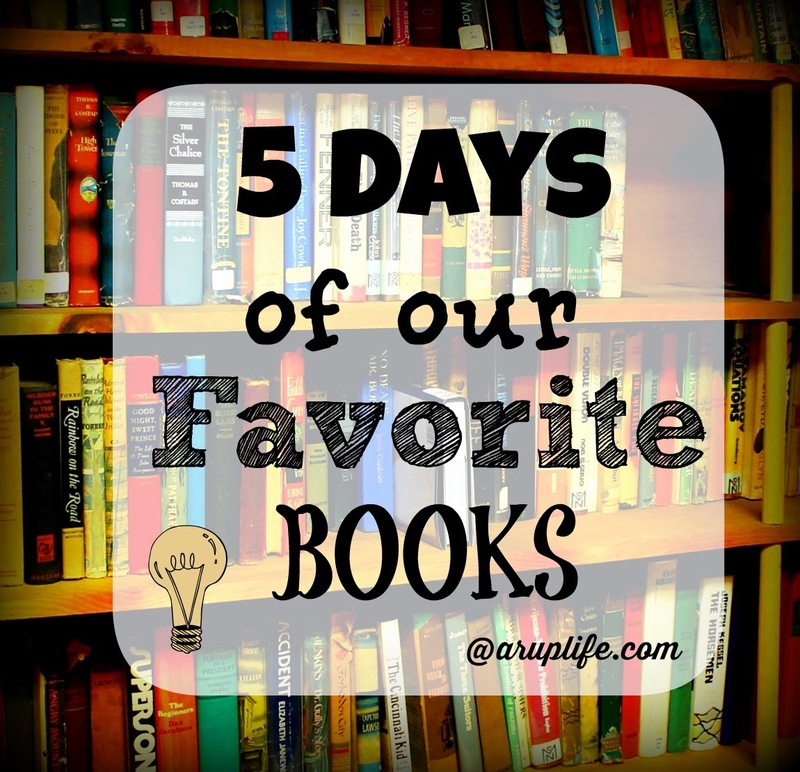 Five days of books! You are speaking my language!